Politics and art makes for a volatile mix. Politicians are motivated by the desire to govern—and in many cases control—people while artists are, by and large, individuals dedicated to self-expression. That’s a gross simplification, of course, but our global history is littered with tragic and heroic tales of artists who have fought, and often died, for their country’s liberation. 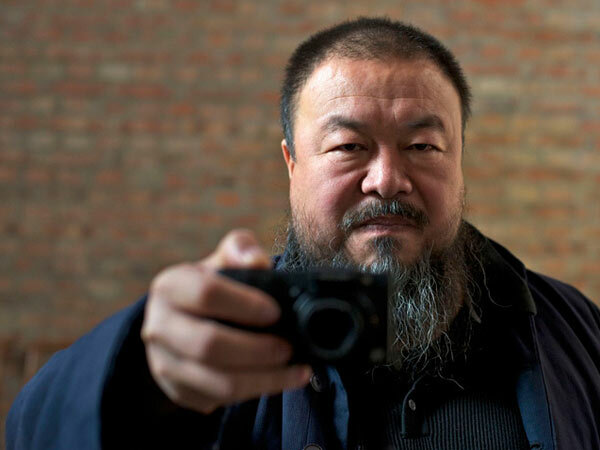 No one knows the ultimate fate of Ai Weiwei, China’s leading dissident and artist. It’s clear that he’s prodigiously gifted—working in photography, installation art, sculpture, film and cultural criticism—so it’s easy to understand why the Chinese government and international curators became fascinated by his work over the past decade. But Ai Weiwei wasn’t content to be a feted “official” artist. How he moved from being a highly touted figure, entrusted with the famed “birds’ nest” design for China’s signature Olympic stadium in 2008 to being placed under house arrest in 2011 by the same Chinese powers-that-be forms the drama in Alison Klayman’s fascinating documentary Ai Weiwei: Never Sorry. The turning point, according to Klayman’s and other Western journalistic accounts, was the Sichuan earthquake in 2008. Thousands died, including many children crushed or trapped in the collapse of poorly constructed “tofu-skin” schools. The Chinese government chose to cover up the corrupt practices that had created so many faulty buildings. Outraged, Ai Weiwei supported efforts by local activists and artists to find out how many students had died—even that number was being concealed by the authorities. He published the results of the investigation—the number of students was 5,385—including every name as well as investigative articles on his very popular blog. When his website was taken down by officials in May 2009, Ai Weiwei started using Twitter and immediately regained his huge Chinese audience. That August, police attacked him in a hotel room in Sichuan when Ai Weiwei returned to the province to testify for a fellow activist. The footage, supplied by the artist to Ms. Klayman for the film, is dark but you can hear what’s happening: the vicious assault is clearly audible on the soundtrack. A month later, Ai Weiwei underwent surgery in Munich for a cerebral hemorrhage brought on by the police attack; luckily, he recovered. And so a radical was made.